Army of Two has never been an especially bad series, it's just never been an especially good one. Providing simplified cooperative shooting action, as dumb and dirty as can be, the series has clearly found a fanbase for its particular brand of not very particular action. It's one of those series with a rudimentary purpose, and it fulfills that purpose without going the extra distance. Nothing acutely wrong with that, it simply is what it is. That said, having had its third crack at the whip, Army of Two would do well to evolve or at the very least refine itself. There's only so much mileage in any idea, and when your idea is this spartan, there's not much gas in the tank at the best of times. 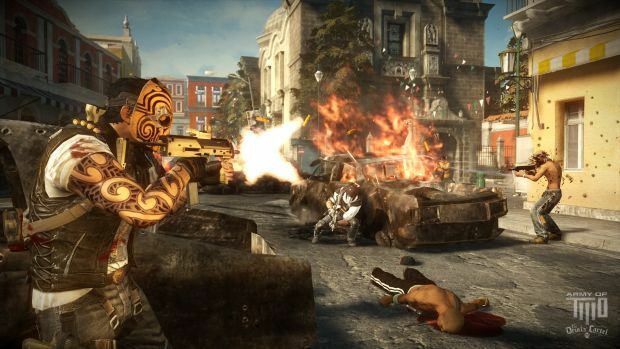 Army of Two: The Devil's Cartel is EA Montreal's second sequel, yet it bears all the missteps of a first attempt, and retreads old ground in a less than forgivable way. There's nothing wrong with a game like Army of Two, fundamentally. There's plenty wrong with this iteration of it. 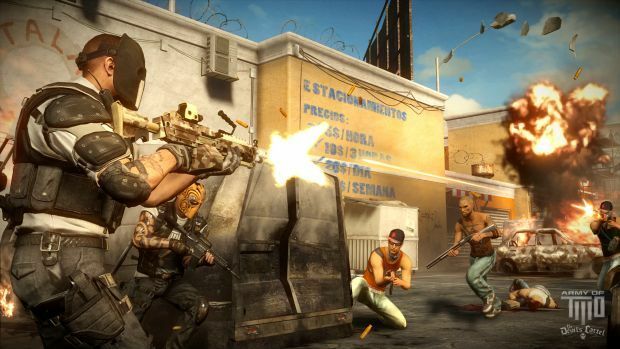 Army of Two: The Devil's Cartel replaces series protagonists Salem and Rios with two even more generic heroes, the imaginatively named Alpha and Bravo. 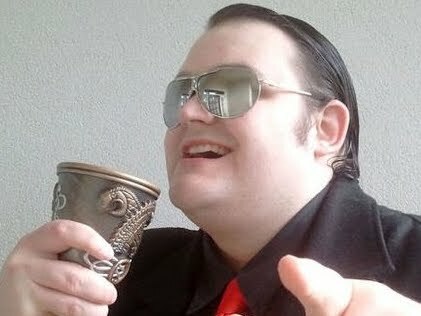 The names and lack of history are supposed to make players feel more connected to the game, as if they are the ones leading the charge, yet the story paradoxically attempts to give Alpha and Bravo personalities and conflicting ideals in a way that just seems cynical. By contrast, Salem and Rios finally evolve into borderline interesting characters the moment they are no longer playable. Borderline. The story is as one would expect -- forgettable, cliched, and generally a flimsy excuse to get to the action. There's a typical Mexican drug cartel, a typical girl out for revenge against the villain (getting herself predictably in need of rescue now and then), and a typical bad guy who we're expected to hate for very little on-screen reason. Alpha and Bravo are alienating in their canned dialog littered with gay and mom jokes, and flavored with uninspired grunt speak. This is all par for the course, however -- Army of Two has never had a story worth telling, to the point where I've often wondered why we don't get to just create our own character and partake in random missions. Mindless shooting is the heart of the experience, and there's plenty of that. The game gets a solid eight hours of third-person cover-based warfare, and for the most part it works as intended. From beginning to end, you slog your way through the environments and mow down armies of indistinguishable opposition. As players gain kills, they rack up an Overkill meter which, when full, can activate a temporary state of invincibility, unlimited ammo, and extra damage. If both players initiate Overkill at once, it lasts longer and instigates a slow-motion effect. Players are, as usual, expected to work as a pair to distract enemies by drawing fire, flanking positions, and combining their firepower to tackle heavily armored foes. Each action in the game, from standard kills to tactical maneuvering, earns points, and one's performance is graded between chapters while cash is earned. Cash can be spent, once more, on unlocking and customizing new weapons, as well as fresh costumes and face masks. Masks can also be personalized from scratch using a variety of templates and colors -- my personal favorite touch, considering the mask designs are easily the best element of the series. Like all Army of Two games, Devil's Cartel is designed to be enjoyed almost entirely with two players, so I'm utterly baffled as to why, three games in, EA Montreal hasn't made this system work in an elegant or fluid fashion. There's no real drop-in/drop-out co-op option. If a player joins an open game, the current session -- and all its progress -- has to first end so the entire chapter can start from scratch. I do not know why games, especially ones so reliant on cooperative play, do this. Army of Two's chapters aren't the longest, but can contain some rather large areas littered with many enemies, so the time between checkpoints is such that the penalty for allowing a player to join is exactly the same as getting killed -- either way, all your progress in a battle will be lost. If you get a join request during a particularly rough area and want to wait to reach the chapter's end ... good luck. It's not uncommon to be spammed with join requests during hectic fights, receiving pop-up notifications that pause the game. Accepting a request is as simple as pressing the same button you use for cover, so it's easy to accidentally confirm one of these sudden notifications and end up undoing everything you were trying to finish. Sorry, but when there's no difference in punishment between losing a fight and accepting a player in your co-op themed game -- your co-op doesn't work properly. I'm finding this less forgivable as I keep seeing it, and given this is Army of Two's third try, it is thoroughly inexcusable by this point. This is compounded by other problems stemming from co-op. Some of the areas where players must both open a door together or give each other boosts onto high ledges cause the animation to stick or glitch. In one area, I had to reload a checkpoint because I was stuck to a wall in a pre-boost jump animation and couldn't cancel it. In another area, I was trapped in a black loading screen while the other player was in the game, unable to proceed. Sometimes doors won't give you the prompt to open them until you back away and move forward a few times. Other times, the game just slaps you with a big exclamation mark and invisible wall until it's finished loading the next bit -- surprising, considering the game looks visually mediocre (even after installing HD textures), environments aren't large, and loading screens between missions are considerably lengthy. Some of these issues could have been less venomously received had the action itself, in any way, been better. However, Army of Two's combat is bog standard at best, and even feels stripped down in comparison to the last one. Devil's Cartel is as straightforward a shooter as straightforward shooters get, with weapons that feel underpowered through a lack of visual and audio feedback, controls that aren't always responsive, and bargain-basement enemy A.I. If it wasn't going to do anything new, the least EA Montreal could have done was polish or improve the gameplay in some way. It did nothing, at all, but simply serve up more of the same -- and Army of Two simply isn't good enough to get away with singing the same song three times. Gone are the "moral choice" sections, gone is the competitive versus mode, gone is Extraction. The only new mode -- and I hesitate to call it that -- is Contracts, a series of optional killzones in which you try and keep your Overkill mode active for as long as possible. The campaign is longer to make up for the lack of modes, but when every chapter bleeds into each other with similar-looking levels, similar-looking enemies, and similar scenarios, this is one of those situations where more does not mean better. I'd be lying if I said it didn't have its moments, though. 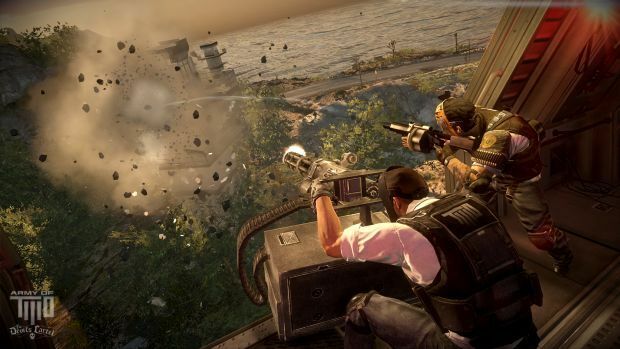 Some of the sections in which players get to help their partner from behind a helicopter chaingun may be seen in dozens of games, but they still manage to get the blood pumping. Player customization is fun enough to at least get some mileage out of the joy of seeing your lovingly crafted mercenary in action. I also really appreciate that the arcade, score-based feeling to combat at least does a noble job of fighting to keep one invested. Moments of hopeful amusement peppers the experience -- just not enough to make it worthy of a look. 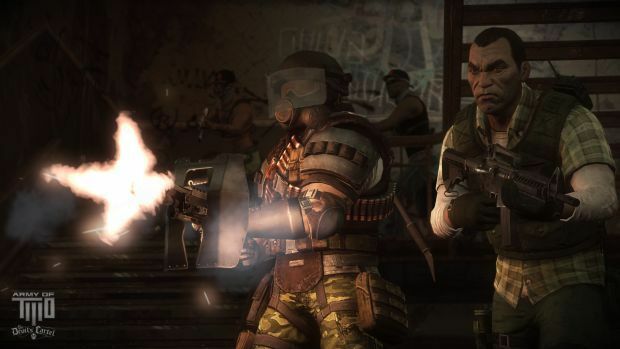 The core of Army of Two: The Devil's Cartel is still decent. It's a serviceable game, and provides the kind of no-frills, unimaginative action that can at least provide cathartic fantasy violence. If that's what you want, however, you're better off getting the last game -- one that felt more refined, offered more compelling interaction, and will likely be available to purchase for peanuts these days. The Devil's Cartel, by contrast, is buggy, unnecessary, and outstays its welcome before the credits close. Army of Two has never been an especially bad series, it's just never been an especially good one. The Devil's Cartel is the ultimate example of this. Is it bad? Not especially. But it's a far, far cry from good.